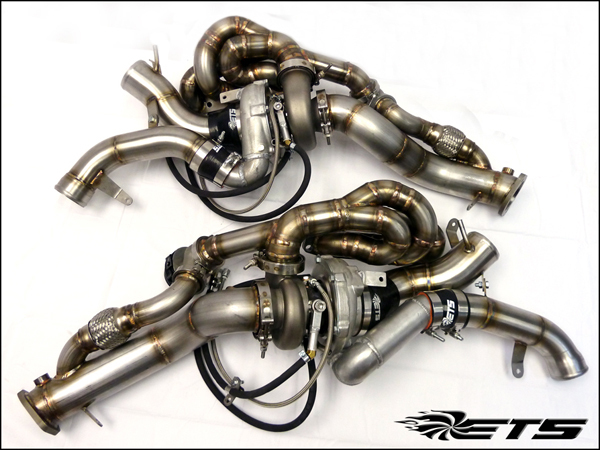 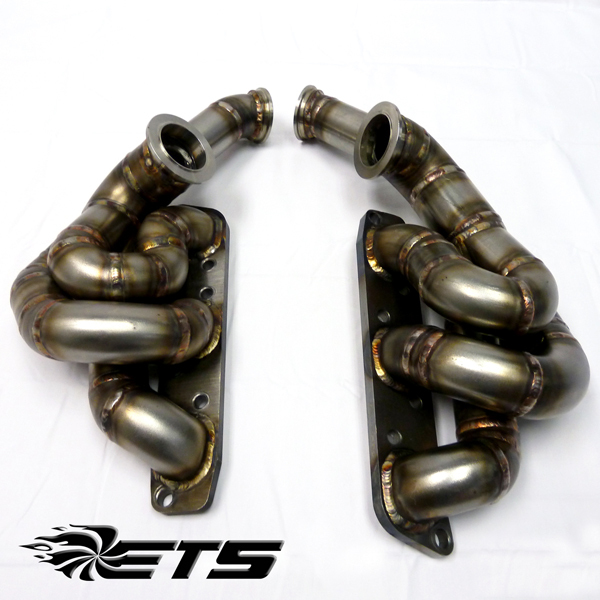 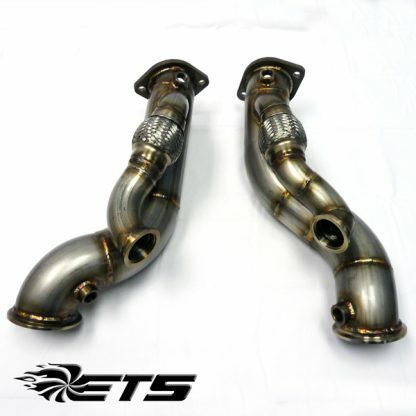 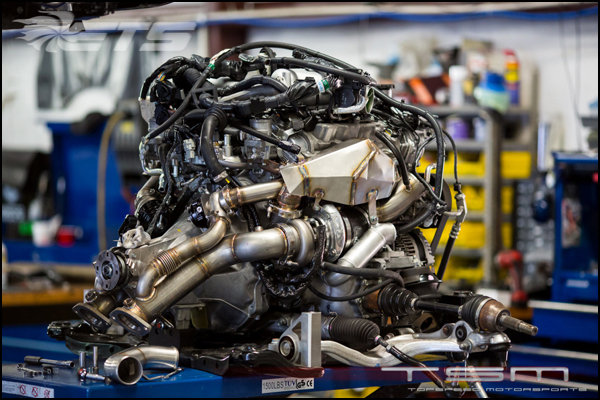 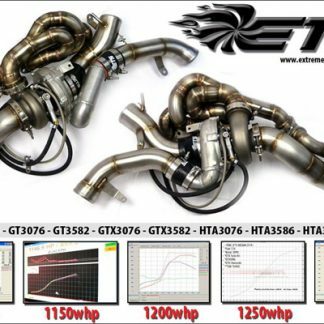 For serious power upgrades on the Nissan GT-R look no further than an ETS GT-R Turbo Kit. 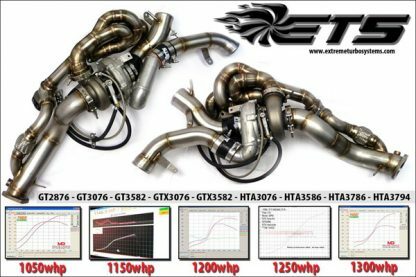 Packed with features like our high flowing 1.5″ runner ETS manifold, true Merge Collector, full 3” Downpipe, Recirculated waste gate, high flow large diameter intercooler piping, Tial 44mm MVR Wastegates, Heat Shields, and a wide range of turbochargers, these kits will get the job done, street or track. Along with great performance, Features such as an exhaust flex, T-Bolt Clamps, 4ply silicone, and braided oil lines, will help make sure that you do not have to use the ETS Life Time Warranty! 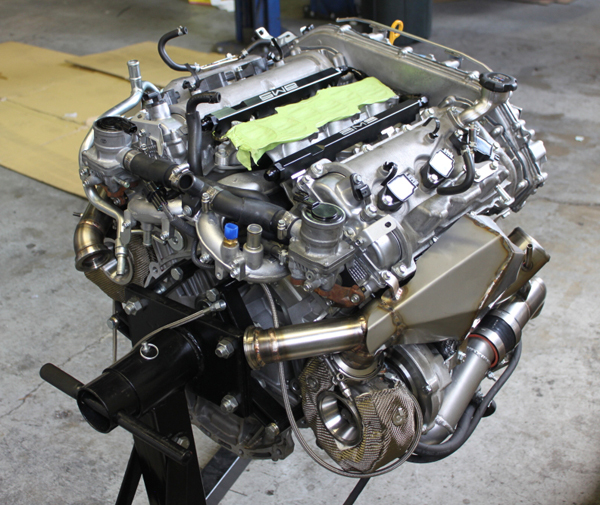 Large runners – At 630cc per cylinder, the vr38 is 21% per cylinder than most 3.0l 6cyl and 2.0l 4cyl. 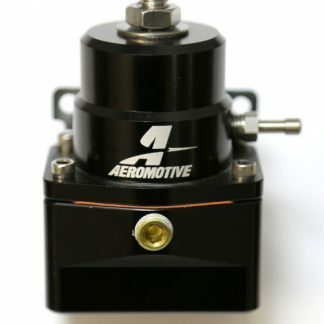 On a cylinder to cylinder basis. To put a small runner on such a large cylinder is like putting a restrictor plate on the engine. 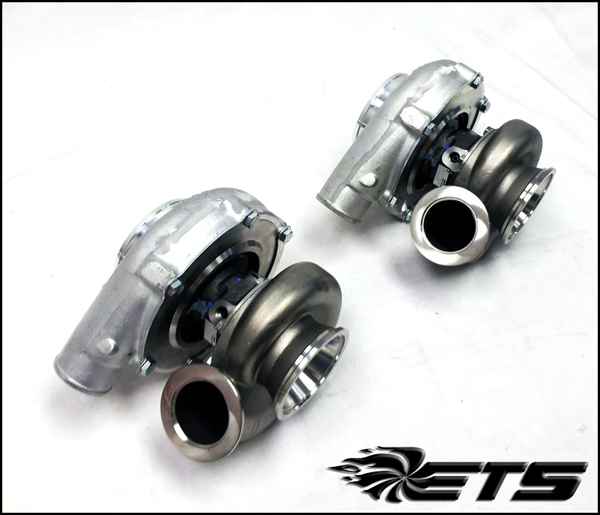 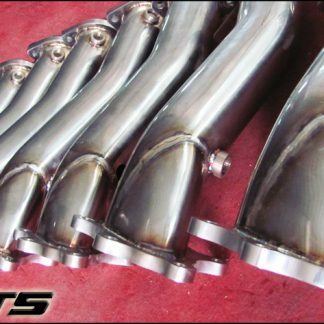 Wastegates in line with flow – With the very high flow rates of the new billet wheel turbo’s, we have found the wastegate system must be very efficient, or else boost creep could be induced. As well a keeping run away boost under control, a very efficient wastegate system will allow tuners to start a tune at a much lower boost pressure, ensuring that the whole tuning process is done safely. 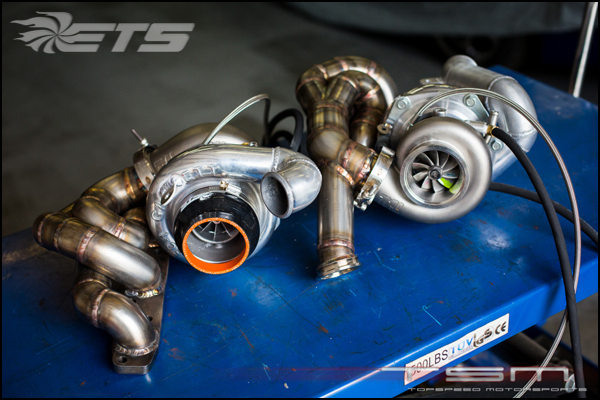 Lifetime Warranty – Full Lifetime warranty on all fabricated parts, and manufactures warranty on turbo’s.